"May you live in interesting times..."
Farming sure can be challenging. I guess that is what keeps it so interesting…but a little less interesting might be good sometimes. 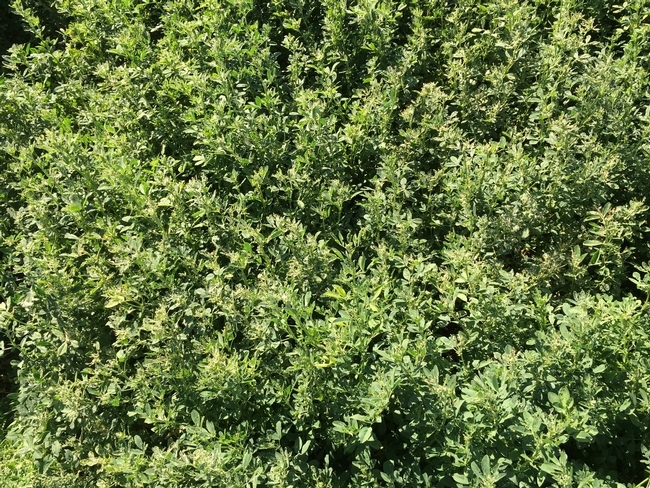 Last year Klamath Basin alfalfa growers had to deal with an outbreak of the blue alfalfa aphid (BAA) and the associated cost of insecticide sprays as well as the yield loss. Fortunately, aphids have not been a problem this year. This may be due to the relatively wet year we have had (especially this spring) providing more favorable conditions for fungi that can keep aphids in check. While aphids have not been a problem, this has been an incredible year for alfalfa weevil (especially in Scott Valley). 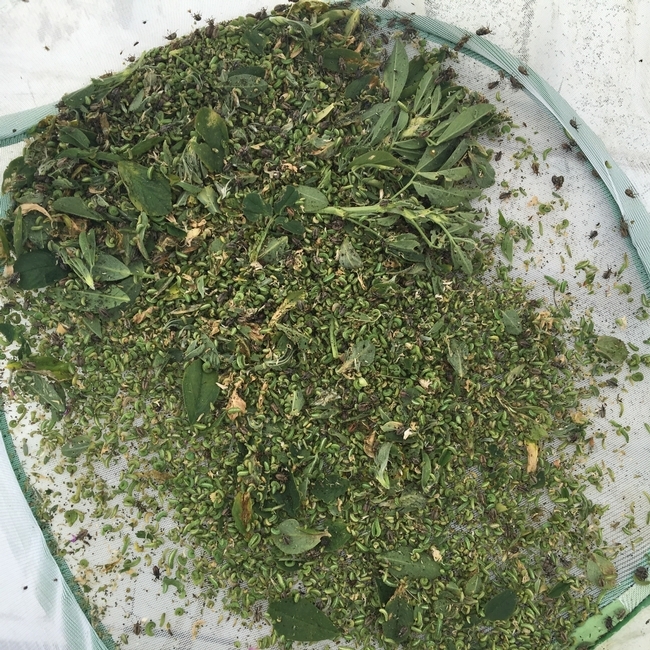 Over 100 larvae per sweep have been reported in some fields. In addition to the high populations, emergence has been staggered, making control difficult. It was possible to see weevils at all growth stages in a field at the same time, including overwintering adults, all four instars (larval growth stages) and the new pupating adults from this year's population (Figure 1). This situation makes weevil control especially challenging because they are feeding on fields for such a long time. Figure 1. A blend of weevil adults and larvae at all growth stages have been seen in Scott Valley alfalfa fields at the same time. Scott Valley growers treated, but there have been numerous complaints about poor control that could not be explained by prolonged weevil emergence alone. It appeared that these fields had poor initial control after treating not just a lack of long-term control. Together with Extension Entomology Specialist Larry Godfrey we have a weevil control trial this year in a grower field where we are evaluating 20 different insecticides and insecticide combinations. While working on this project, we decided to sample commercial fields where growers have experienced poor control after an initial application of Baythroid and a follow-up application with Warrior (Figure 2). Figure 2. Injury has been severe even after treatments with Baythroid followed by Warrior. Both of these products are in the pyrethroid class of insecticides and we wanted to determine if the weevils had developed resistance. Four conventional fields were sampled as well as an organic field where insecticides have not been used for decades. The weevils were taken to UC Davis where they were treated in a lab with either Baythroid or Warrior at five rates (1/4 rate, ½ rate, the full field rate, twice the full rate and four times the full rate). 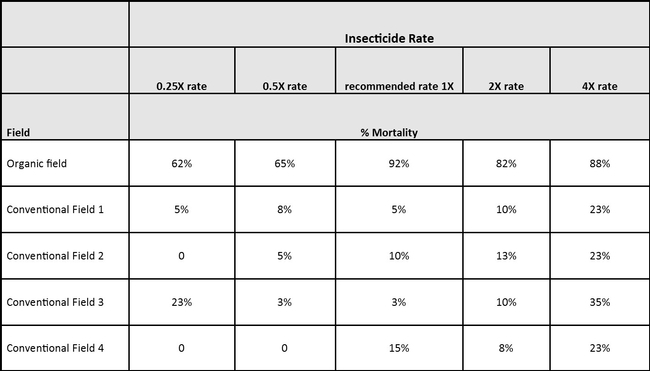 The weevils were observed and the average percent mortality calculated. See table below. 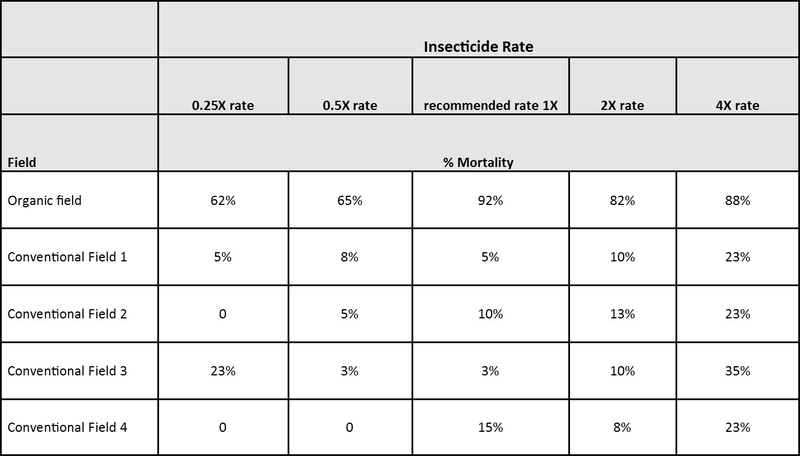 Acceptable control levels only occurred for the weevils collected from the organic field that had never been treated with a pyrethroid insecticide (see table). One hundred percent control was not even achieved with weevils from that field perhaps likely due to migration of weevils from treated fields. Control of weevils from fields with a history of pyrethroid insecticide use was extremely poor. At the standard use rate control varied from only 3 to 15 percent. Even at four times the use rate, control was only 23% for weevils collected from three of the fields and 35% in the other. We are clearly in need of some new insecticide active ingredients for use in alfalfa. That is part of the rationale for the field trial we conducted this year. Hopefully, we will have some new insecticides to choose from in the future. The key with any insecticide program now and in the future is to use integrated pest management practices and to rotate insecticides to help avoid the evolution of insecticide resistance before it is too late.